Songbirds Music, Art, and Dance Center offers a large variety of movement classes to students of all ages and levels. Whether you are looking to add grace to your everyday movement, make some noise with your feet, or impress your friends with your brand new hip hop skills, we have both the classes and amazing staff that will help you dance your way to your dreams. Take a look at our upcoming classes below! Why is Songbirds Music, Art, & Dance Center the best fit for Me and my Dance Education? Songbirds Music, Art, & Dance Center customizes classes for the specific ages and needs of our students. We offer group dance instruction for students as young as two years old! Classes are also available during weekday afternoons and mornings and are perfect for homeschool students and their families. Songbirds teachers take the time to listen and prepare choreography to the songs that make you dance! With several professional choreographers on staff, including one who had an extensive career on the Las Vegas Strip, we are able to offer dance in a variety of genres including ballet, tap, hip-hop, jazz, funk, musical theater, and so much more! Our dance classes are always accompanied by age-appropriate and clean music that is safe for all ages. The large dance studio features a professional mounted sound system and a real acoustic piano in order to provide the best musical experience for each and every dance class. 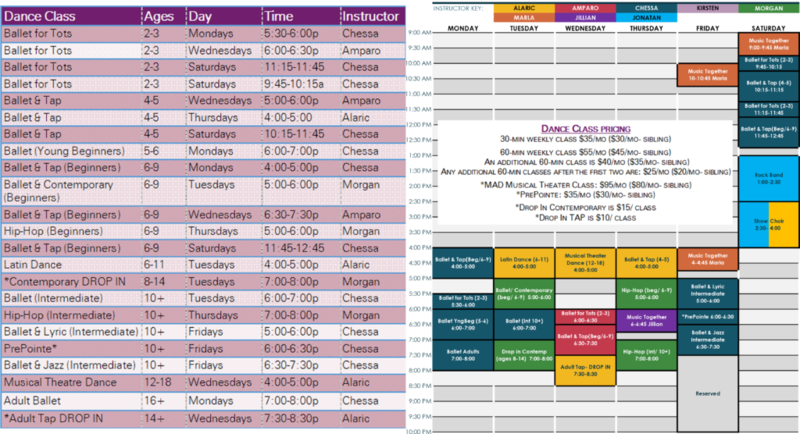 Our dance rosters are designed so that every student is able to receive specific attention and help from the instructor. What’s more, all of our teachers have plentiful experience in dancing with students with special needs. At Songbirds Music, Art, & Dance Center, we know how to customize our teaching to fit your needs and goals. Register for classes using the form below! We will contact you to confirm registration shortly after your form is submitted!